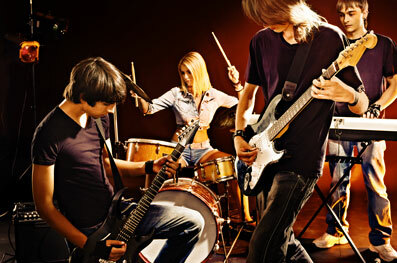 When you need a live band to set the mood for your gathering, hire our professionals at Ruby’s Own Music & Entertainment. We are always respectful of your song choices and we religiously keep the volume of our performances in check so your guests will be able to converse with one another. Additionally, expect us to arrive promptly at your event’s location. Don’t just take our word for it though. Read up on what’s the buzz on the street to learn how our clients feel about our services. We are currently compiling written letters and recordings of customer testimonials. Please visit our site again soon to check for updates. In the meantime, feel free to browse through our other pages to learn how you can take advantage of our music and entertainment services. We look forward to putting up your own story about your experience with us here! At Ruby’s Own Music & Entertainment, we love what we do. To be instrumental in the success of our clients’ celebrations is a reward all in itself. That is why one of the greatest compliments we can receive is the affirmation that we delivered what we promised and more. If you were happy with our live performance, we welcome you to contact us and share your story. We also welcome constructive criticisms. Thank you for taking the time to connect with us.